Artention has set up its Artention Entertainment Fund, a Venture Capital Fund focused on investing in high potential film, TV and other content projects across the entertainment spectra, and in selected promising companies in the entertainment industry value chain. 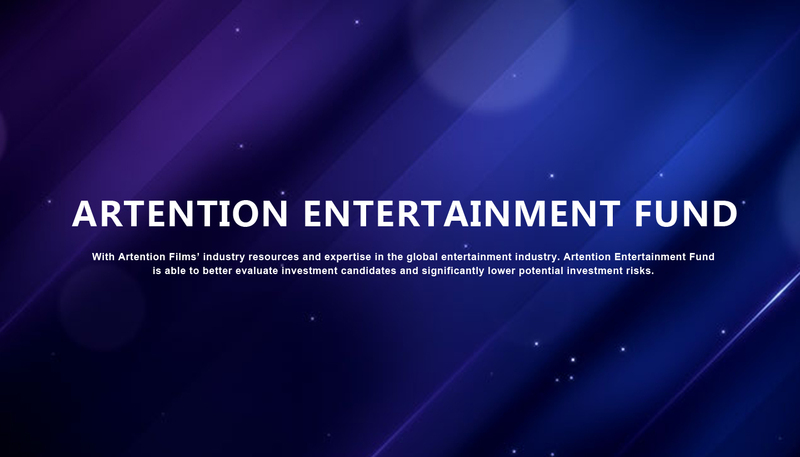 With Artention Films’ industry resources and expertise in the global entertainment industry, Artention Entertainment Fund is able to better evaluate investment candidates and significantly lower potential investment risks. Artention Entertainment Fund invests both content projects and in company equities. By consolidating leading industry resources at home and abroad, and by integrating across the entertainment value chain and platforms, Artention Fund intends to form a powerful consortium of companies that can continuously derive synergies, and to create value by exploring the full potential of high quality content across literature, anime, drama, film and game. In doing so, Artention Entertainment Fund can form a robust entertainment industry ecosystem centered around Artention Films, and generate sustained high return for its investors.